Wood is one of life’s essentials. Using wood in a hundred different ways is one of the first path-breaking discoveries of mankind. Of course, this also promoted deforestation. But leaving that sensitive issue aside, what according to you is wood’s most valuable contribution to humanity? I’d say oil! You will know why when you read this article about cedarwood oil. Cedarwood oil is obtained from various species of cedars. Pure essential oil from cedars is a registered pesticide and a bonafide “pain”icide. And you thought cedars only give you fancy furniture! Read on to discover three shocking benefits of cedarwood essential oil and why it actually works. 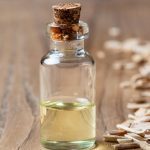 How Is Cedarwood Oil Extracted? 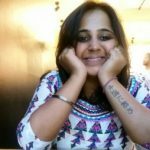 What Makes It Beneficial For Your Health? What Are The Side Effects Or Concerns With Using Cedarwood Oil? Cedarwood oil is a by-product of the milling of cedar, juniper, and cypress trees. Wooden shavings, sawdust, and short pieces are collected at the mill and steam distilled to produce this oil. There are several other methods with carbon dioxide, like supercritical extraction, which are more cost-effective (2). Most cedarwood oil is produced from 3 main species: Virginian cedar (Juniperus virginiana), Texas or Ashe cedar (Juniperus ashei), and Mexican or Central American cedar (Juniperus mexicana). There are also a bunch of cypress and cedar trees that are referred to as Chinese cedar. However, there is a lot of ambiguity in identifying the main cedar oil-producing species across the globe (1). The composition of cedarwood oil varies across species and according to processing methods. Generally, the primary constituents of cedarwood oil are sesquiterpenes, cedrene, thujopsene, and cedrol. It is because of these phenolic compounds that cedarwood oil is linked to a broad spectrum of benefits. From killing pests to improving sleep cycle and depression, there is a lot this essential oil can do for you. Keep scrolling down to find out more! Cedrol, the main active ingredient of cedarwood oil, has a mild sedative effect. A rat study found that inhaling cedarwood oil affects the olfactory and other organ systems (3). When you inhale the faint scent of such essential oils, a signal is transmitted to the limbic and hypothalamic areas of your brain via your nose (olfactory system). Such signals stimulate your brain to release neurotransmitters such as serotonin and endorphins. These chemicals, in turn, induce a sense of calm and relaxation (4). Cedarwood oil might also reduce the difficulty in maintaining sleep, particularly in elderly individuals with dementia and young women (4). Inhaling an essential oil blend of bergamot, lavender, and cedarwood (1:2:1) has been found to mitigate the symptoms of depression. However, the evidence for this is insufficient (5). Massaging essential oils onto your scalp has the potential to reduce alopecia (hair fall). This exercise increases blood flow to the hair follicles, conditions the scalp, and enhances the strength of the roots. It reduces conditions that can interrupt the process of hair growth, including dandruff and dry scalp (6). In a seven-month randomized trial with 86 individuals with alopecia, the test group received a daily massage with essential oils of lavender, cedarwood, thyme, and rosemary in jojoba and grapeseed carrier oils (6). This group showed about 44% improvement in hair growth parameters in contrast to only 15% in the control group. These essential oils may also relieve headaches and normalize sleep patterns when massaged regularly (6). Cedarwood essential oil may abate several dermatological problems. It is said to positively affect acne, eczema, dermatitis, psoriasis, insect bites, scabs, eruptions, and fungal infections (7). This activity is attributed to its anti-inflammatory and antimicrobial properties. Since it has a lingering and soothing scent, cedarwood oil can be used in room fresheners, fabric conditioners, soaps, cosmetics, and detergents. Cedrol has potent insect and pest repelling properties. Insects like red ants, black-legged ticks, moths, and carpet beetles were all either killed or showed acute toxicity symptoms when exposed to cedarwood oil (8). Vapors of cedarwood oil were also toxic to larvae of several moths, bugs, and arthropod pests. Therefore, you can use cedarwood oil as a pesticide. Cedarwood oil is also a fungicide. When wood blocks were treated with oils of Japanese cedar and Virginian cedar, they did not get infected by the brown-rot caused by the fungi Gloeophyllum trabeum. Moreover, the vapors and water emulsion of this oil have shown to inhibit the growth of notorious bacteria like Staphylococcus aureus (1). Mice studies have also demonstrated the larvicidal and parasiticidal activity of cedarwood oil. Scientists concluded that it works both as a repellent and a larvicide on Schistosoma mansoni, the parasite responsible for causing schistosomiasis. A diluted solution (about 50%) was completely active for 3 days, offering 100% resistance (1). Alright, that was a shocker! Who would expect an oil from wood shavings to be a prime aromatherapy candidate, right? Well, it’s all because of its biochemicals. Cedarwood oil contains α- and ß-cedrene, cedrol, thujopsene, widdrol, and other sesquiterpenes and hydrocarbons (1). The alcohol content of Texas cedarwood oil ranges from 35-48%, with a maximum of 20% cedrol. While Virginia cedarwood oil consists of about 80% α- and ß-cedrene, its cedrol content varies between 3 to 14%. Chinese cedarwood oil has a minimum of 8% cedrol (1). It is because of its cedrol and cedrene content that the oil, emulsion, and vapors of cedarwood have such critical benefits. However, cedarwood oil is still a plant extract. Aren’t there chances that a few of us are allergic to it? Simply put, should we take any precautions while using cedarwood oil? Scroll down for answers. One primary concern most of us could have is its skin irritant property. However, several mice studies and the US Environmental Protection Agency suggest that cedarwood oil is not a skin sensitizer or carcinogen. While some dermal and eye irritations were reported, the inhalation studies were inconclusive in this respect (1). The US EPA considers its risk to human health to be negligible, given its applications. However, cedarwood oil does not have the Generally Recognized As Safe (GRAS) tag by US FDA when used in food items, but it is permitted to be added to cosmetics, perfumes, and massage oils (1). However, several toxicity studies conducted on rats and rabbits establish the oral and dermal toxicity of cedarwood oil to be >5000 mg/kg. So, beware! There is not much data out there to ascertain the safety of cedarwood oil for children, pregnant and lactating women, infants, and pets. We suggest you consult the respective specialists before going ahead with this oil. Cedarwood oil and its benefits come as a pleasant surprise! Thanks to its phytochemical composition, this essential oil is used mainly in aromatherapy. It is used in combination with other oils from various Juniperus species for their antifungal, anxiolytic, antiseptic, analgesic, and anthelmintic properties. This means cedarwood oil protects not only your body but also your furniture, carpets, decor, gardens, storage, and food. So, shouldn’t you be giving this oil a try? If you agree, buy a trial pack of cedarwood oil here and see how your body and surroundings respond to it. Leave your queries, feedback, and suggestions in the comments section below, and we’ll get back to you! “Cedarwood Oil Profile” New York State Integrated Pest Management Program, Cornell Cooperative Extension. 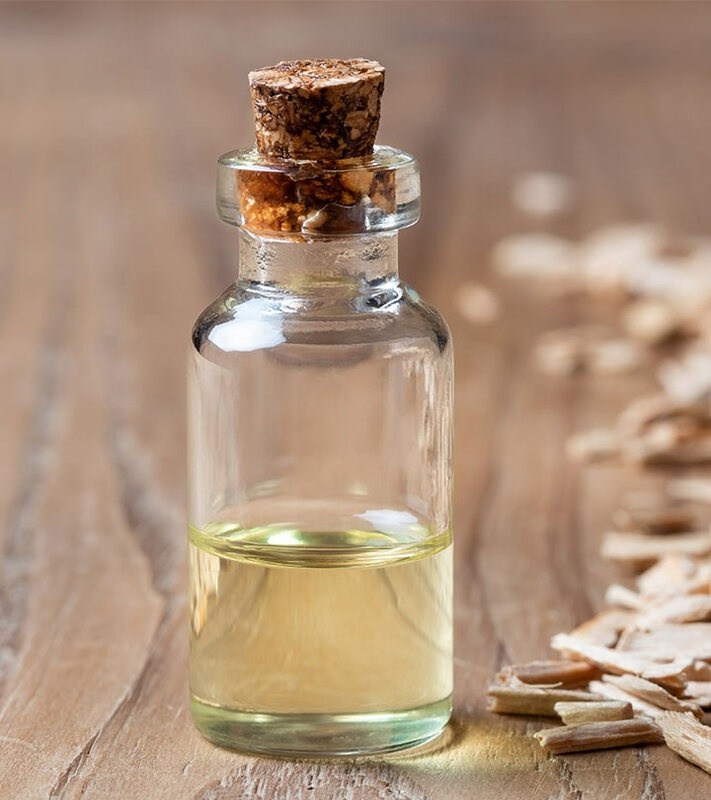 “Cedarwood Oil: Making It More Aromatic, More Available” ARS News and Information, United States Department of Agriculture. “The sedative effects and mechanism of action…” Planta medica, US National Library of Medicine. “Effects of Inhalation Aromatherapy on Symptoms…” Evidence-based Complementary and Alternative Medicine, US National Library of Medicine. “The Effectiveness of Aromatherapy for Depressive…” Evidence-based Complementary and Alternative Medicine, US National Library of Medicine. “The Benefits Of Scalp Massage For Hair Loss” News & Events, Pacific College of Oriental Medicine. “Commercial Essential Oils as Potential…” Evidence-based Complementary and Alternative Medicine, US National Library of Medicine. “Bioactivity of cedarwood oil and cedrol…” Environmental Entomology, US National Library of Medicine.